David and Susan are proud to support Mental Health America of Greenville County. 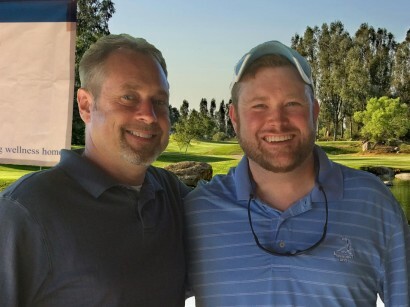 David joined 67 other participants for the 2nd annual Charity Golf Tournament to raise money for the cause. This organization promotes positive mental health for all persons in our community through advocacy, education and service. David and Susan are proud to support the Hemophilia of South Carolina organization. The Inaugural Charity Golf Tournament “Par for the Clot” was held on Friday, March 27th, 2015 at The Preserve at Verdae in Greenville, SC. The event raised $20,000 to promote awareness of bleeding disorders to the general public, as well as to provide education and support to those affected and their families, and to support the ongoing research of the National Hemophilia Foundation. “We also managed to validate why none of us are on the PGA tour!” joked David. David and Susan are proud supporters of the JDRF Walk to Cure Diabetes and team “Cameron Can!”. Team “Cameron Can!” has raised nearly $5,000 in donations, and the overall campaign in the Upstate area is appraoching $200,000. The funds raised go towards finding a cure for Juvenile Diabetes. They recently volunterred at the event held at the BMW Performance Center, where they registered over 150 attendees for a “Hot Lap” on the test track. Each registrant qualified by contributing at least $350. At the end of the event, the BMW drivers took them for a spin as thanks for helping out all day! Susan and David were grateful for the opportunity to partner with our friends at Waldrop Heating and Air to host a food collection station for the Harvest Hope Food Bank. This is important all year long but especially during the holiday season. Harvest Hope Food Bank provides for the needs of hungry people by gathering and sharing quality food with dignity, compassion and education.